Fracking and Frac Flowback – What is it? Hydraulic fracturing (more commonly known as fracking) was introduced in the 1940s whereby 1955, 100,000 fracking projects had been put into place. Since then, the number of fracking projects has grown. With the innovation of horizontal drilling techniques, rock formations that were inaccessible in the past became reachable, and able to be tapped for hydrocarbons using the frac flowback process. This method is now very popular in the U.S., Canada, and other regions for extracting hydrocarbons for fuel and other uses. 10K Rentals has been supplying oilfield equipment rentals for fracking and frac flowback processes for many years. Fracking involves a pressurized injection of a mixture of water, sand, and chemical additives into the ground. This injection creates cracks in underground rock formations, such as shale rock, and forces a release of oil and gas that cannot be accessed by another method. 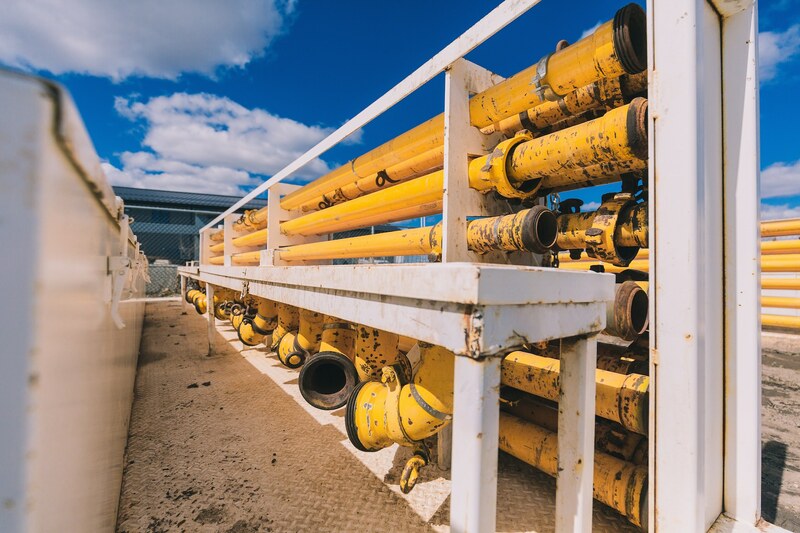 Frac flowback is the fluid that comes back up the pipes, mostly occurring in the first seven to ten days while the rest can occur over a three to four week time period. The murky water contains clays, chemical additives, dissolved metal ions, and total dissolved solids. The volume of frac flowback is anywhere between 20%-40% of the volume that was initially injected into the well. The rest of the 60%-80% of the water remains absorbed by the underground rock formations. At 10K Rentals, we provide oilfield rental equipment that supports fracking, and the frac flowback process. Our rental equipment is regularly serviced and maintained by our equipment experts. Everyone employed at 10K Rentals is highly trained and knowledgeable about the oilfield equipment rentals we provide our clients. We are experts at troubleshooting any issues our clients have, making the oilfield equipment rentals process run smoothly. We also provide technical support for our clients on all of our equipment. We know our rental fleet better than anyone which makes us the most qualified to give out support when it’s needed. Our frac flowback equipment is one of the largest fleets in North America. We have every piece of equipment needed to complete well testing, and extraction. Our equipment ranges from separators, such as high pressure separators, storage tanks, and line heaters that heat the gas in the storage tanks to keep the liquid from freezing in low temperatures. Other oilfield rentals include manifolds that control the separation chambers, and junk catchers that prevent unwanted debris from entering the storage tanks, as well as pipe skids ranging from 10km to 100km, and flare stacks that burns off flammable liquids. Also included in our inventory are a variety of valves such as ESD valves, choke valves, and oilfield valves. For all your frac flowback project needs, contact 10K Rentals and get your quote.